Not only can you play games on provided ipads but it also offers free workshops and classes for adults and kids on select dates. Not only does it offer author visits and signings, and free (weekly) storytimes, but in the Summer they offer a free Reading Program. Kids read books, fill out a Summer Reading Journal, bring it to a local B&N store and get to choose a FREE BOOK to take home, from their selection. Make sure to check their events calendar. BCC offers free movies, concerts & shows! Check the events calendar. Not only do they offer free wifi and a free play area for younger kids, they also offer, at times, free samples, free storytimes, free kids club activities & crafts and special event nights. No purchase necessary. They also offer free food on their annual “Chick-fil-A Cow Appreciation Day” if you dress partially or fully like a cow! Make sure to check their events calendar. Offers special in-store themed events on select dates. On the first Saturday of every month from 9am-noon, kids get to make and keep a craft, and receive a certificate of achievement & a commemorative pin, while supplies last. Registration is not required. In addition to being able to rent books, audiobooks, cds, and dvds for free, and use computers and wifi for free, there are numerous free shows and activities all year long, including storytimes, author visits, workshops, crafts and classes. Also, there’s a summer reading program to earn cool rewards. Check the events calendar. On select Saturdays, from 10am-11am, Lowe’s offers a free kids Workshop/Clinic to build a wooden project. Kids get a free apron, goggles, & patch. Must register in advance, it fills up quickly! Water Fountain/Splash Pad: Put on your bathing suits and cool off this summer! Indoor playground (aka Kidgits Play area) ideal for smaller children; cool off inside with AC! Fabulous Fourth event with fireworks for July 4th! Monthly Music Jam, happening the first Friday of the month April-November 6:30 – 8:30pm, highlighting local entertainment at The Village Amphitheatre at the Mall of GA.
Movies Under The Stars Summer Concert Series, Starting in May, grab your lawn chairs and blankets for a free concert and movie every Saturday night. Each event begins at 6:30 pm with a live band performance, bounce houses, food and drink vendors and special retailer activations. The movie will begin at dusk at The Village Amphitheatre at the Mall of GA.. The Apple Store. Not only can you stop in to play some games on the provided ipads, but they offer free workshops and classes for adults and kids on select dates. The Disney Store offers special in-store, themed events on select dates. Toys R Us offers special in-store events on select dates. Williams-Sonoma offers free technique classes and Junior Chef classes on select dates. They participate in the “Kids Bowl Free” program. Children can register for 2 free games a day, all summer long. Bring your own bowling shoes, or pay for shoe rental. Offers special in-store events on select dates. Offers free technique classes and Junior Chef classes on select dates. 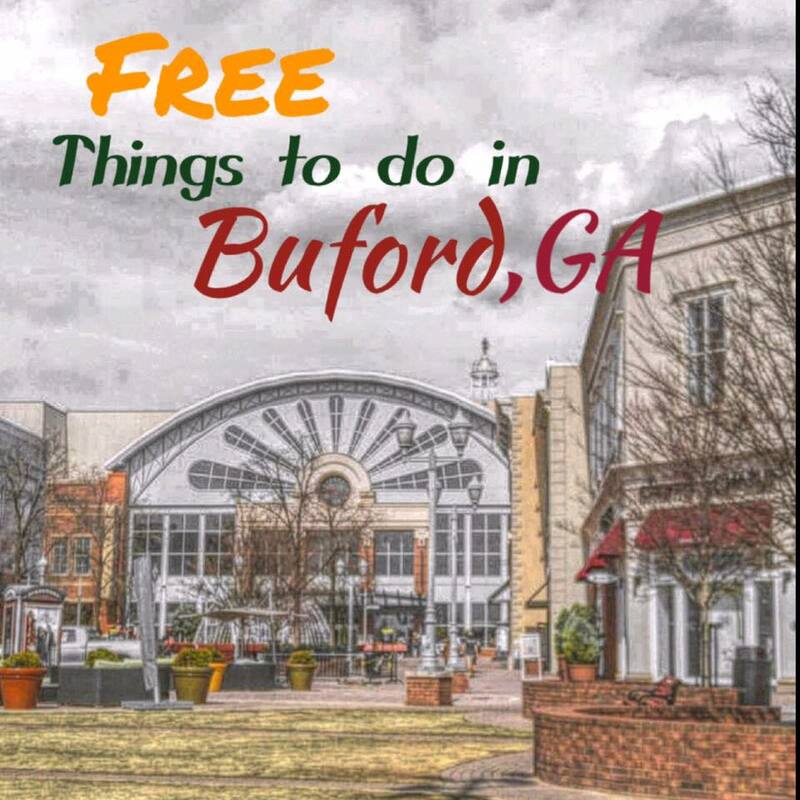 Are you aware of any other FREE things to see and do in Buford that was left off this list? Comment below and let us know! Thanks! AND Don’t forget to SHARE & PIN this post for future reference! Thanks! I’m always looking for FREE activities! Check out MEEPLE MADNESS in Buford! Bring the family and choose from a selection of free board games and sit and play for hours!